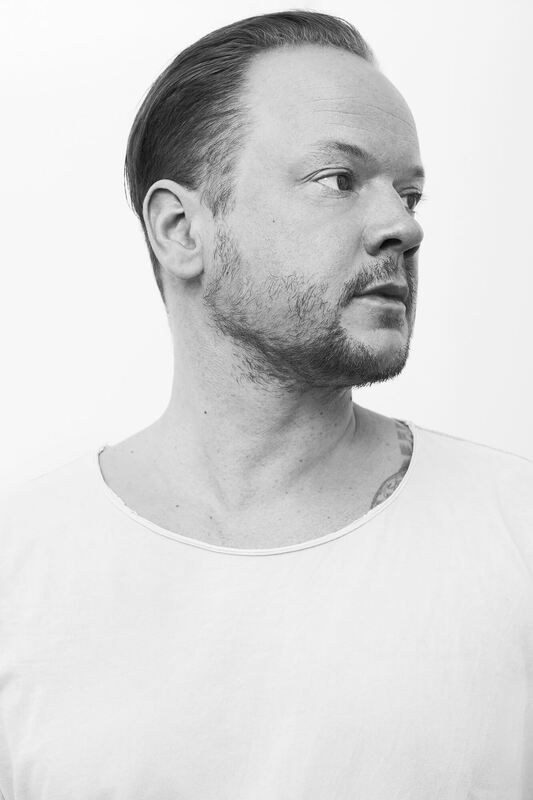 For over ten years, Marcel Fengler was a core member of the Berghain resident DJ family and the stable of artists on its accompanying label, Ostgut Ton. But he parted ways with the renowned club institution last year, and since then he’s been reevaluating his journey so far. Now he’s started focusing on his own imprint, Index Marcel Fengler (IMF). Ahead of his highly anticipated DJ set at this Saturday’s Telekom Electronic Beats Clubnight at PAL in Hamburg, we met with the selector and producer at his apartment to get the full low-down about his new outlook on all things techno and Fengler. Techno is bigger than ever. How do you relate to its popularity? Marcel Fengler: I turned 40, so I’ve been involved with techno for more than half of my life. Obviously, things have changed dramatically since I organized my first parties with Marcel Dettmann in our hometown, Fürstenwalde, back in the mid-‘90s. The other day I found an old photo of us that was taken at the venue where we threw parties at that time. I had completely forgotten about this old photo. We were such nerds! The only thing we were interested in was this new music and how to get it. And back then there weren’t that many people you could talk to about it. That definitely has changed, too. Getting into techno for the first time now is different, for sure. It’s bigger and more popular than ever on a global scale. And if you’re new to it, you’re basically bombarded with all the history and information attached to it. That must be pretty overwhelming. To me that seems to be so different from how I kinda stumbled into this whole thing. But at the same time, I very clearly remember certain key moments that were essential to my relationship with the music and the scene, like seeing Robert Hood or Claude Young play for the first time. I am sure that this hasn’t changed—that you start to go out and you experience something that shifts everything and pulls you deeper into it. For many young people today, you may have been responsible for many of those key moments that made them fall in love with techno. How do you feel about that? I am glad to share the knowledge I have acquired on my journey so far with whoever is interested. At the moment there’s such a massive influx of young producers between 20 and 25, and it’s pretty hard to keep track of it all, to be honest. All the attention and success of techno has changed the outlook and mentality associated with it. You meet way more people now who have meticulously planned for a career in techno. It’s becoming the new normal. I was always sure that if you do your own thing and it’s good enough, it’ll be recognized at some point—no need to always seek for attention or try to get ahead as fast as possible. You have to accept that things have changed, though. You realize that you have to start playing the game to some extent, too. With my label I’m trying to create a bit of a family thing as a counterpoint. Ideally I want to work with artists over a longer period of time. I don’t want IMF to be just the next stepping stone in someone’s career. That’s not to say that they aren’t free to release somewhere else, but a certain amount of identification with the label is really important to me. I still think that some things take time and that it’s a good thing for an artist to go through different and sometimes difficult phases. It’s harder to mature as an artist when you expect your career to constantly progress to new “levels.” You need a certain maturity to stay at the top and be able to reinvent yourself as an artist again and again. There’ve been a few big changes for you lately, too. For instance, you’re not working with Berghain and Ostgut Ton anymore. Yes, big changes both in my private life as well as in my professional life. I needed to take some time to process those changes over the last 18 months. But I feel very focused again now. A big part of that focus is on Index Marcel Fengler. It’s now my main outlet, and I want to keep developing the label. I’m pretty much done with curating my first label compilation, which will be the 10th release. It’s going to be something special with a whole bunch of exclusive tracks from longtime IMF artists, friends, a couple of new faces and a number of high-profile remixes. It’s all spread out over three 12-inches and accompanied by a DJ mix from Thomas Hessler. It makes sense to make a bigger statement with the label now. It’s the biggest project I’ve handled so far, and I thoroughly enjoy it. If everything is going according to plans the compilation will come out in October. Has the way you see the label changed through all this? It was always very close to my heart, but now I’m focusing on it a lot more. The philosophy behind it hasn’t changed, though. I’m still the person in the background pulling the strings and giving the label a direction. I am setting the stage for all the other artists. When I started IMF it was meant to be only for my own output. I think that’s a pretty typical development when you’re running a label as a DJ. At least, everybody I know started like that and eventually released other people’s music, too. I opened up to that idea after working with Efdemin as DIN for Ostgut Ton’s Masse compilation. It was the first time that I actually collaborated with someone on music, and it turned out to be an extremely interesting process. I’ve learned so much, and some of the inspiration I got from that collaboration is still audible in my music. And it changed my mind about the idea behind Index Marcel Fengler. I decided the label could also be a platform for like-minded artists to share music and maybe even develop lasting friendships while doing that. Speaking of DIN, weren’t you supposed to release a full album? Yeah, that was the plan. We’re maybe 80 percent there. But then Philip became a father, and then I became a father too, so it was postponed and we haven’t found the time to get back to it. We had even established a complete concept for a live show, which is something I was never really keen about before working with him. We were already in talks with a harp player and an opera singer to perform live with us—things that you wouldn’t normally associate with an electronic music live act. I really enjoyed letting the set techno standards go for a while and just come up with ideas that reach beyond techno. Recently, we’ve been talking about finishing the album again. It’s just a matter of timing. And if we decide that we’re not able to get back to it this year, I will probably start working on my second solo album. Marcel Fengler will play a Telekom Electronic Beats Clubnight with Mr. Ties and Cinthie at PAL Hamburg on May 13. Click here for more information.